Marvel’s classics on metal posters ! Find Spiderman’ world on a retro poster. 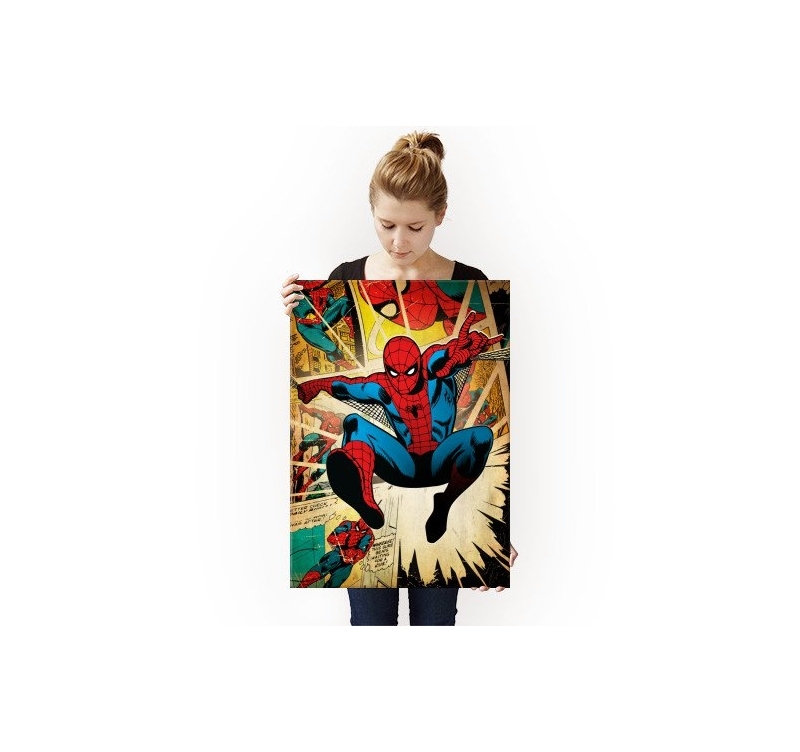 The dimensions of this Spiderman wall poster are 48 x 67,5 cm. Free deliveries in metropolitan France and Belgium for this Spiderman retro poster. 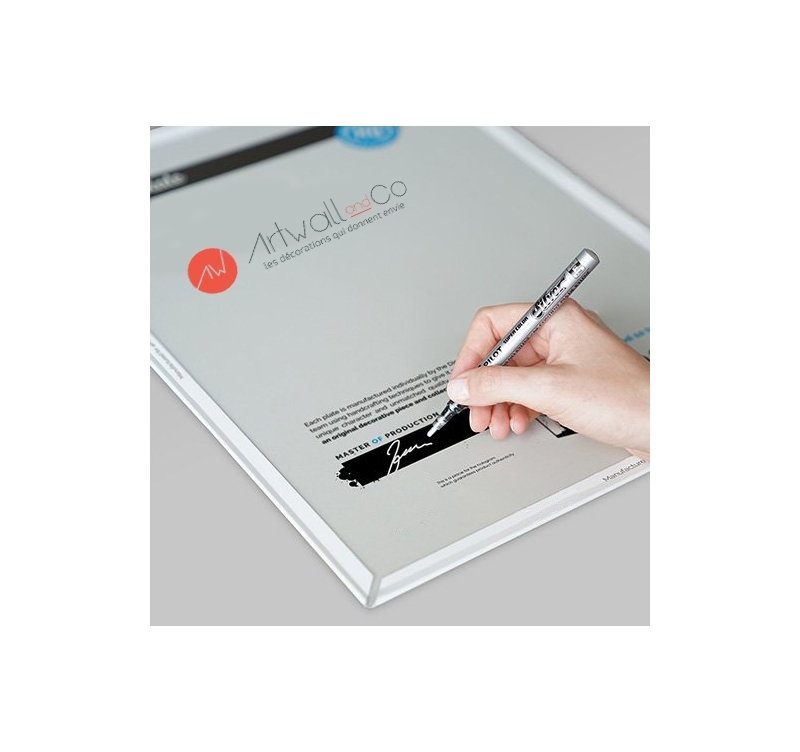 For all the fans and amateurs of the spider-man, this Marvel poster is for you ! 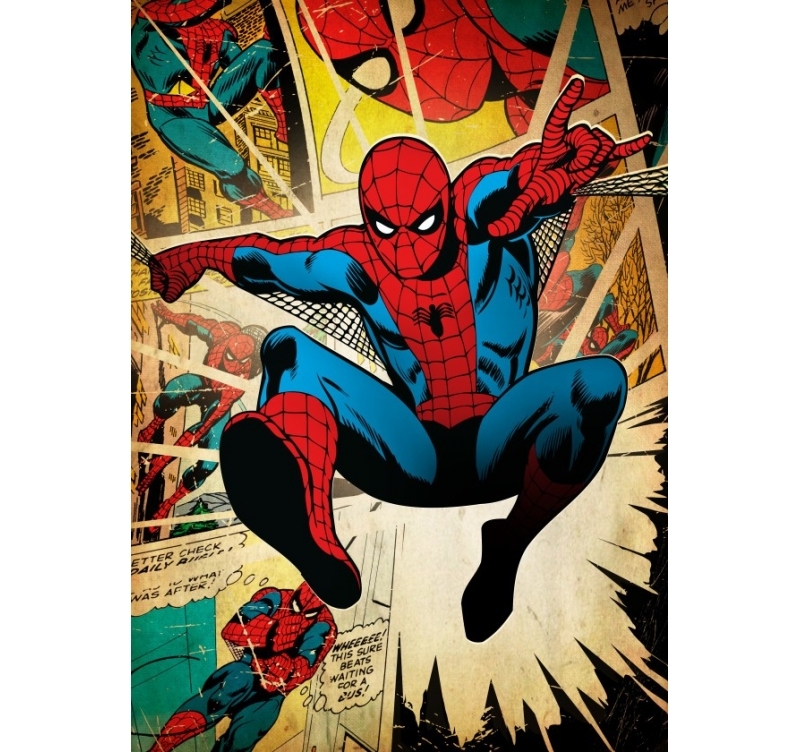 Revisiting Marvel’s famous stories with a retro style, this Spiderman wall poster will give you a second youth. 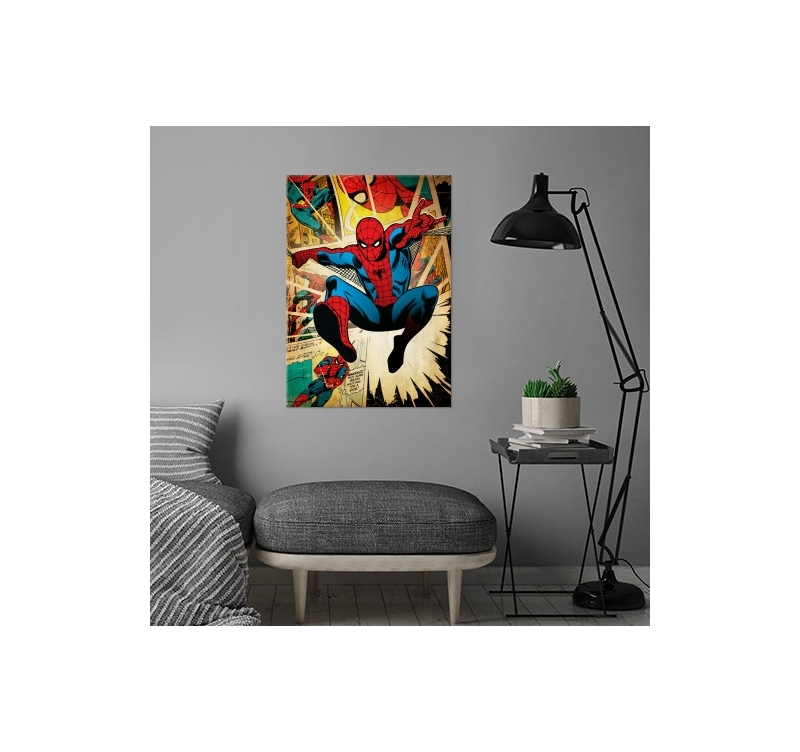 With light colours typical of Marvel’s worlds, this Spiderman metal poster will perfectly fit in a colourful and vintage wall decoration. 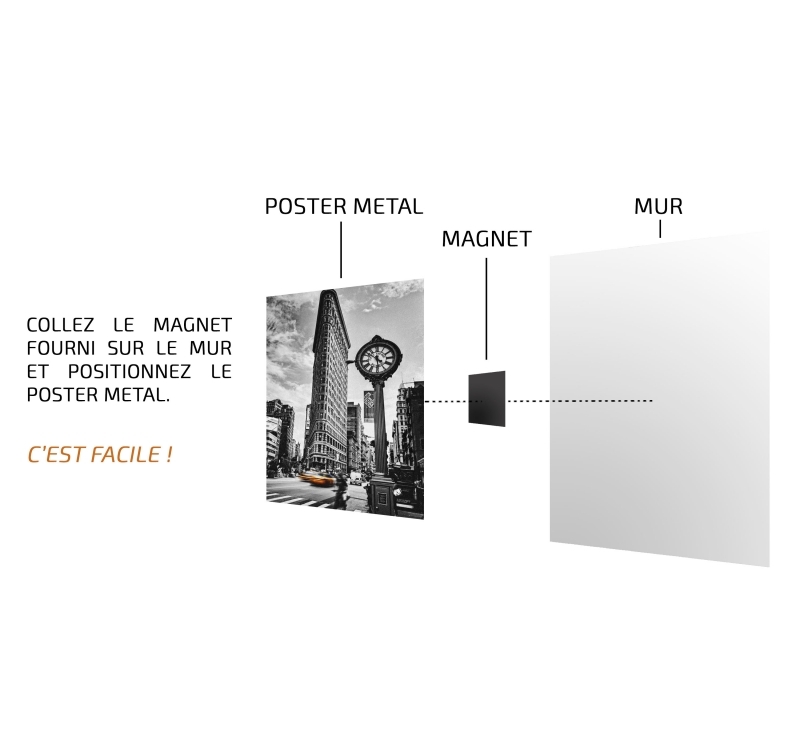 This Spiderman poster is very easy to hang up thanks to a magnetic hanging system that will allow you to change indefinitely your Artwall and Co metal posters !